The New England Revolution signed defender Michael Mancienne from English Football League Championship side Nottingham Forrest on a free transfer on Friday. Mancienne is an experienced defender who has spent time playing in the English Premier League, German Bundesliga, and English Football League Championship. The 30-year-old began his career with Chelsea in 2006 but only made six appearances for the club. During his time in London, he spent loan spells at Queens Park Rangers and Wolverhampton Wanderers in the English Football League Championship and Premier League—where he appeared in 58 and 56 games respectively. After his first stint England, Mancienne spent three seasons in Germany with Hamburger SV in the German top flight in 2011. In 2014, he returned to his native England with Nottingham Forrest and featured in 135 games over four seasons. 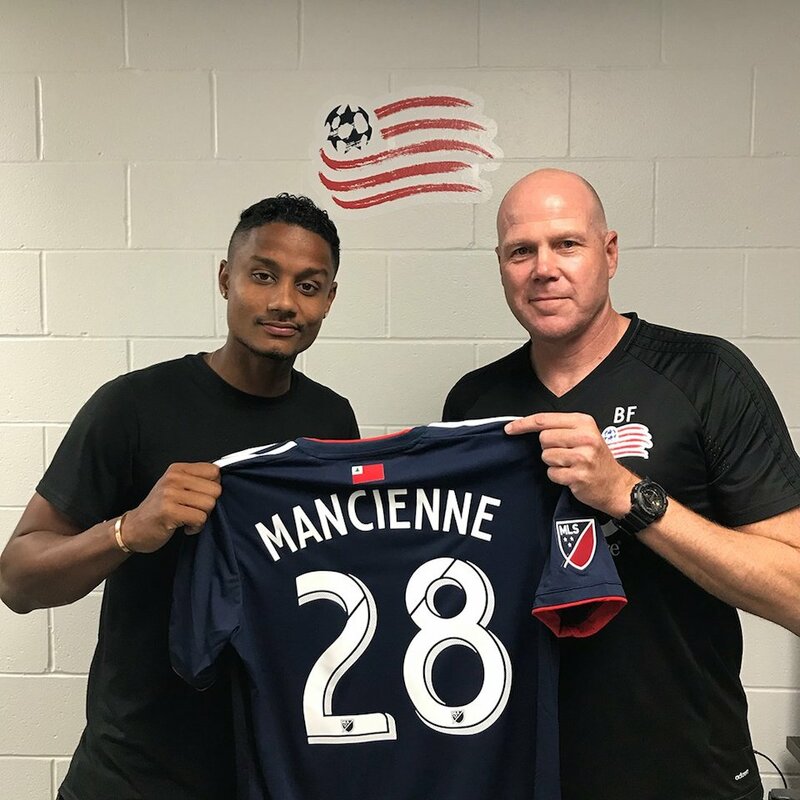 Revolution general manager Michael Burns said that Mancienne’s experience in some of the world’s top leagues makes him a valuable addition to the squad. While Mancienne has not featured for England at the senior level—England called him up to the squad in 2008 but he did not play—he was a staple in England’s youth teams at various levels. He made 62 appearances for the Three Lions’ youth teams from the U-16 to U-21 level and scored four goals—three as U-16 and one as a U-21. Mancienne arrives in New England during a time of great defensive struggle and should instantly be able to compete for a starting spot. Much like Claude Dielna, Mancienne is an experienced and versatile defender who will bring a strong veteran presence to the Revolution locker room. Throughout his career, Mancienne has played as either a center back or a defensive midfielder. At 6-foot-1, Mancienne will certainly be an ariel threat and a large presence in the Revolution’s defensive area. In an interview with revolutionsoccer.net, Mancienne said that a move to the MLS was an exciting opportunity he could not turn down. Mancienne also said that Revolution head coach Brad Friedel—who he faced off against in England—was a major reason why he chose New England. Despite the being faced with a new team and a new league, Mancienne said he is ready to take on the challenge and be a leader in the Revolution locker room. With the addition of Cristian Machado and Mancienne, Friedel and Burns have made it clear they want to address the defensive woes that have dragged down the team all season. Mancienne will occupy the Revolution’s seventh and final international spot on the roster. He will be added to the roster using Targeted Allocation Money and will join the squad upon the completion of his P-1 Visa and international transfer certificate. Mancienne will wear No. 28. Kyle Bray is the Editor in Chief at Prime Time Sports Talk and a freshman journalism major at Emerson College. He also serves as the sports editor for the Bay State Herald and the deputy sports editor for The Berkeley Beacon. Aside from his editing duties at Prime Time Sports Talk, he is the lead New England Revolution writer, the Holy Cross Men's Basketball reporter, and is a member of the Prime Time Sports Talk radio team. He grew up just outside of Boston and has been a Boston sports fan all his life.